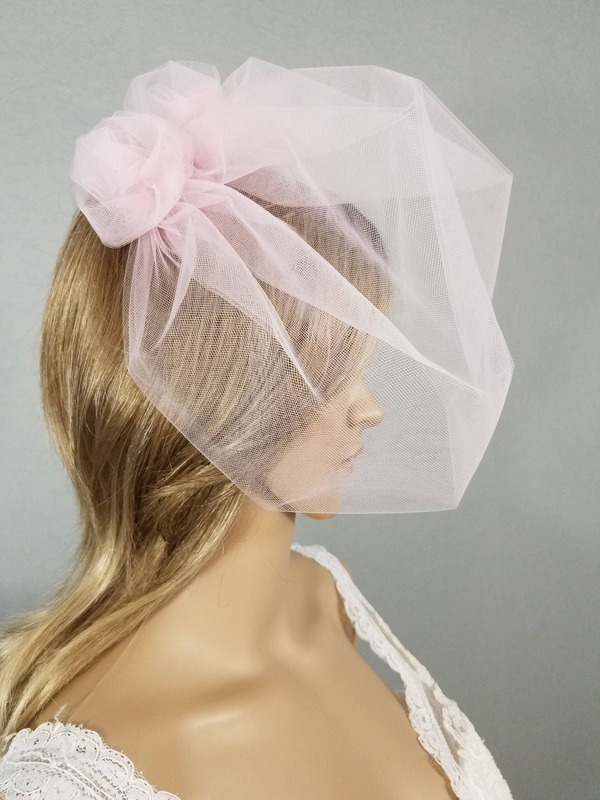 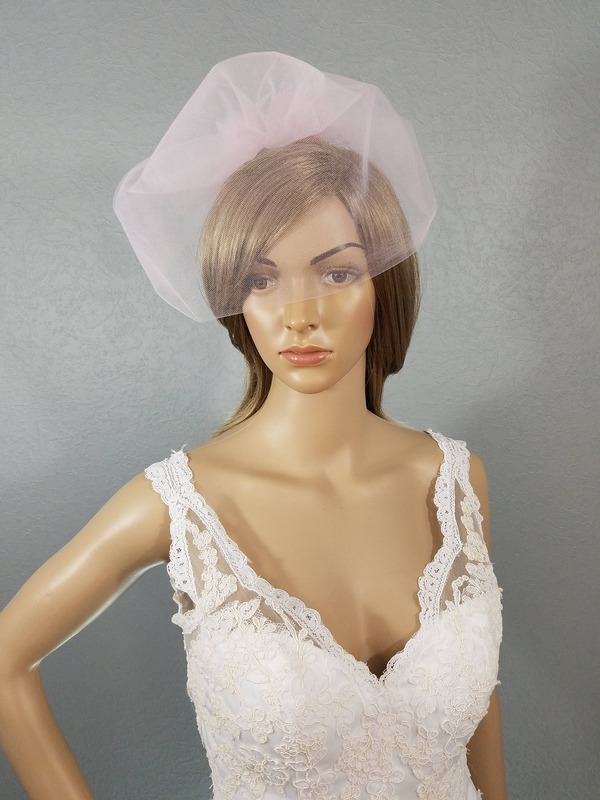 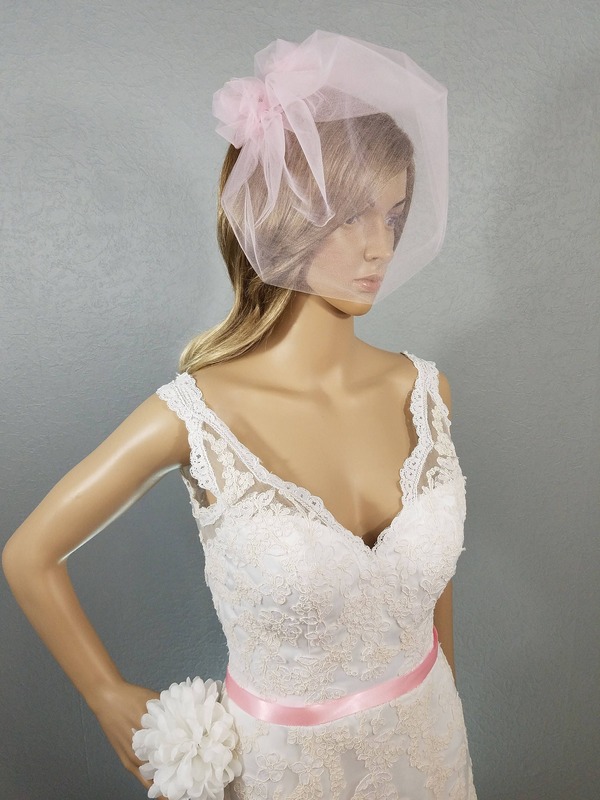 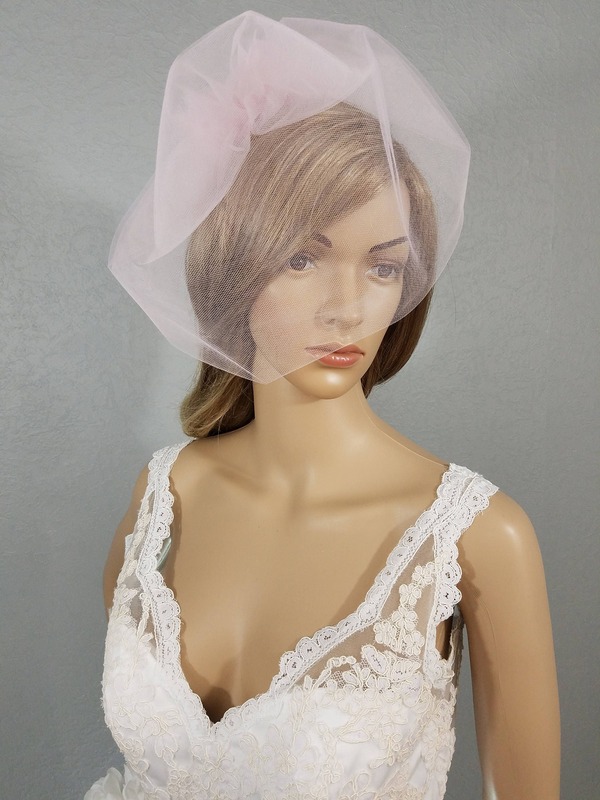 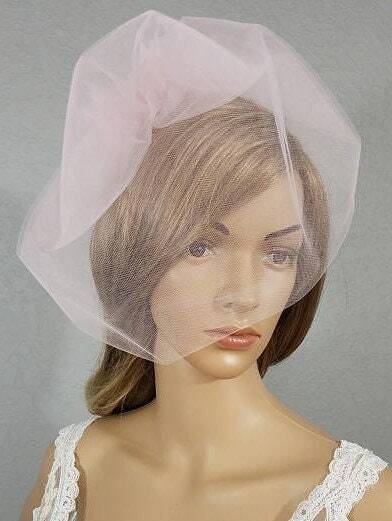 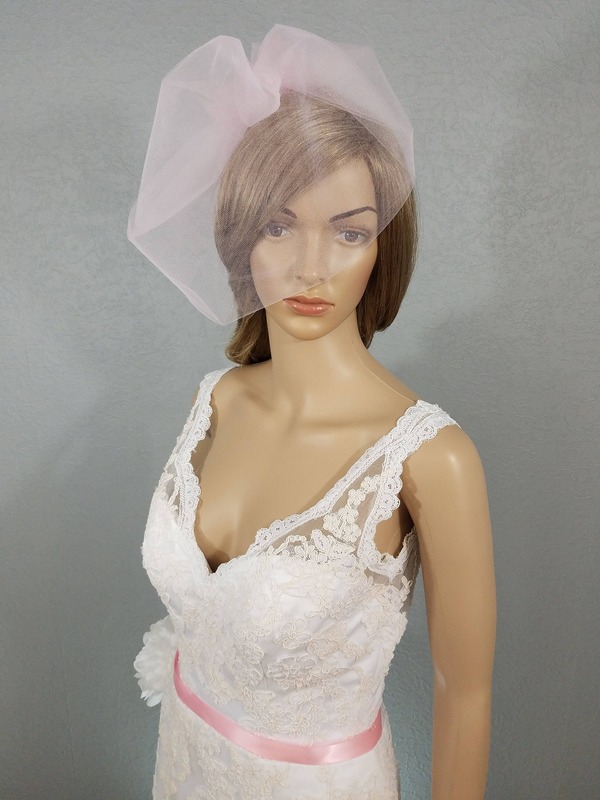 This made-to-order birdcage veil features our hand-designed, ivory or white Bridal Illusion tulle with two hand gathered tulle roses adorned on top. 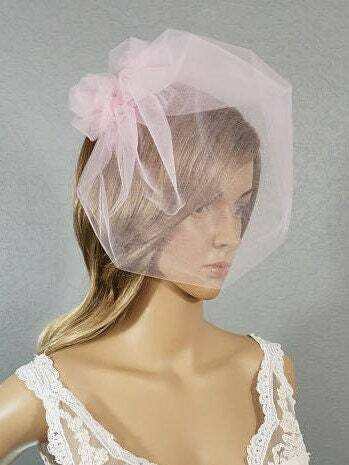 This cage is for the bride that wants to add a soft romantic feel with a bit of edginess to their wedding style. 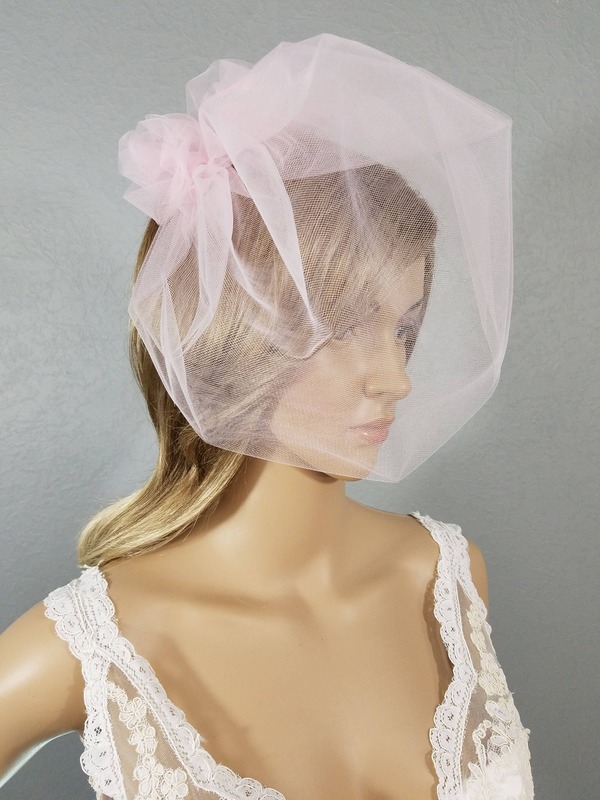 The Bridal Illusion tulle brings in softness to your look while the high tulle roses give you the chic edginess to make a statement for your wedding day.